Lynch auctioneers is offering for sale this conveniently located three bedroom semidetached house, in Laurel Park, Newcastle, within easy reach of a variety of schools, shopping centres, church, and all amenities. This property has been refurbished in recent years and is in very good condition and well maintained throughout. It is excellently located for investment purposes, only a few minutes from NUIG, UHG, and Galway city centre. On entering the home, there is a carpeted hallway. To the left is the sitting room, with carpet flooring and original tiled fireplace. The kitchen is situated to the rear of the property and has a variety of fitted cabinets, tiled splashback, laminate flooring, and a spacious hotpress just off the kitchen. Also off the hallway, there is the carpeted stairway and a door leading to the side of the property which gives access to the rear or front of the property. On the first floor, there are three double bedrooms with carpeted flooring and built-in wardrobes. The master bedroom is en suite and has a white bathroom suite, power shower, and tiled flooring. The main bathroom has a white bathroom suite, is fully tiled, and has a bath and electric shower. There is both gas central heating and electric storage heating installed, and PVC double glazed windows throughout. This property is an excellent purchase for investment due to its convenient location to NUIG, UHG, and Galway city centre, and would also make a lovely starter home. It has a BER of D1. Guide price is €250,000. 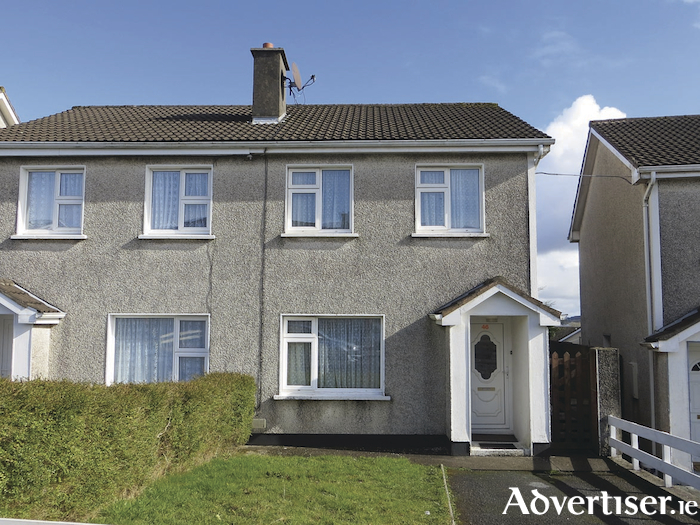 For viewing or for further details of this property contact Lynch auctioneers on 091 566157 or Olivia Lynch on 087 9921226.